Regular use of low-dose aspirin may prevent the progression of breast cancer, according to results of a study by researchers at the Veterans Affairs Medical Center in Kansas City, Mo., and the University of Kansas Medical Center. The study found that aspirin slowed the growth of breast cancer cell lines in the lab and significantly reduced the growth of tumors in mice. The age-old headache remedy also exhibits the ability to prevent tumor cells from spreading. The lead author of the study, Gargi Maity, a postdoctoral fellow who works in the cancer research unit at the VA Medical Center, will present the team’s findings on Sunday, April 21, at the annual meeting of the American Society for Biochemistry and Molecular Biology, which is being held in conjunction with the Experimental Biology 2013 conference in Boston. The senior author is Sushanta Banerjee, director of the cancer research unit and a professor at the University of Kansas Medical Center in Kansas City, Kan. 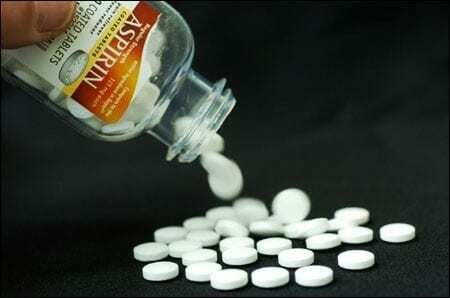 The VA study found that aspirin may interfere with cancer cells’ ability to find an aggressive, more primordial state. In the mouse model the researchers used, cancer cells treated with aspirin formed no or only partial stem cells, which are believed to fuel the growth and spread of tumors. In lab tests, aspirin blocked the proliferation of two different breast cancer lines. One of the lines tested is often called triple-negative breast cancer, a less common but more difficult treat form of the disease. “We are mainly interested in triple negative breast cancer, because the prognosis is very poor,” Banerjee says. Triple-negative breast cancers, which will be addressed in a special thematic program at the ASBMB annual meeting, lack receptors for estrogen, progesterone and Her2. Aspirin also may improve the effectiveness of current treatments for women whose breast cancers are hormone-receptor positive. In the team’s study, aspirin enhanced the effect of tamoxifen, the usual drug therapy for hormone-receptor positive breast cancer.